The Robert H. Lurie Comprehensive Cancer Center was awarded a $11.3 million, five-year competitive grant from the National Cancer Institute in 2015 for its continued leadership of a Specialized Programs of Research Excellence (SPORE) in prostate cancer; one of only eight in the country. Our Prostate Cancer SPORE unites basic scientists, clinicians, pathologists, biostatisticians, bioinformaticians and advocates to examine the basic biology of prostate cancer and to design and conduct innovative clinical trials that will offer entirely new approaches to the treatment of prostate cancer. It provides an integrated scientific environment that leverages the expertise of its investigators to conduct highly translational research projects. Its grant also funds the collection of well-annotated biospecimens through a biospecimen pathology core, a biostatistics and bioinformatics core facility, an administrative core plus a Developmental Research Program and a Career Enhancement Program. Visit this page for more information on data and specimen requests within the SPORE. 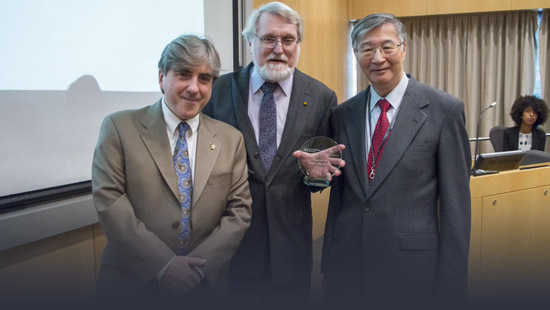 The Lurie Cancer Center hosted the annual Chung Lee Lectureship on October 5th, paying tribute to Chung Lee, PhD, Professor Emeritus in the Department of Urology at Northwestern University Feinberg School of Medicine. The seminar’s featured speaker was Robert Matusik, PhD, William L. Bray Professor of Urologic Surgery, Professor and Director of Urologic Surgery Research at Vanderbilt-Ingram Cancer Center. 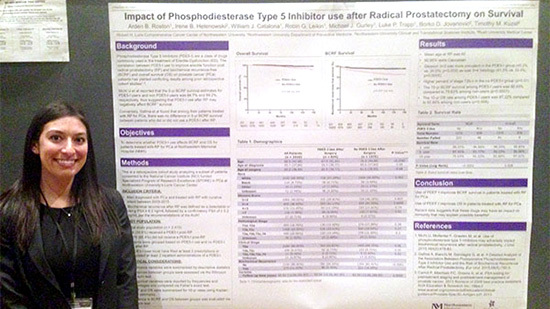 Dr. Matusik's presentation, titled "Androgen Receptor Regulation of Prostatic Disease," described research in his laboratory to identify the key genes involved in tumor progression and develop new targets for therapeutic intervention. Dr. Adam Murphy, Chair of the SPORE Diversity in Men's Health Committee, has volunteered 6 weeks for clinical and surgical training at Phebe Hospital in Bong County, Liberia. For the past 2 years a team of physicians cared for more than 150 patients on these mission trips. 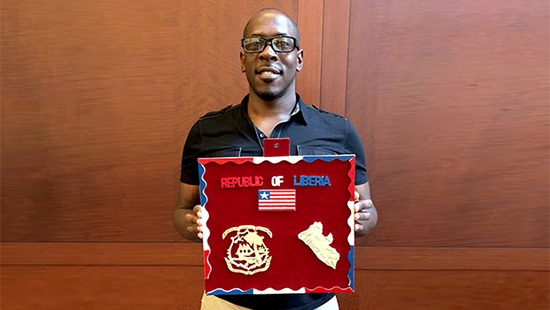 Dr. Murphy is also developing potential research collaborations with Liberian physicians. The Bong County Association recently honored Chicago Global Health Alliance and Dr. Murphy for their work in July 2017. 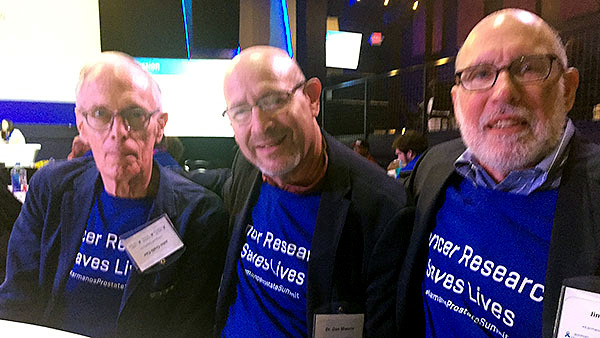 Leader of the SPORE Advocacy Group, Dr. Dan Shevrin attended the 7th Annual Prostate Cancer Advocacy Symposium: A National Summit in Detroit on September 15-16 (pictured center) along with SPORE advocates Mr. John Craib Cox and Mr. James Schraidt. The event brings together patients and spouses, local, national, and international advocates, physician-scientists and researchers; and representatives from industry and government to explore important topics in prostate cancer research, treatment and survivorship.